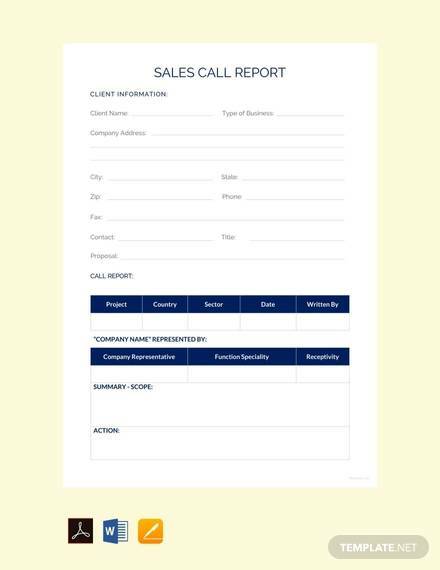 A sale call report is the record of sales persons call or visits to all their customers to present their product or service so they will be encourage purchasing it. 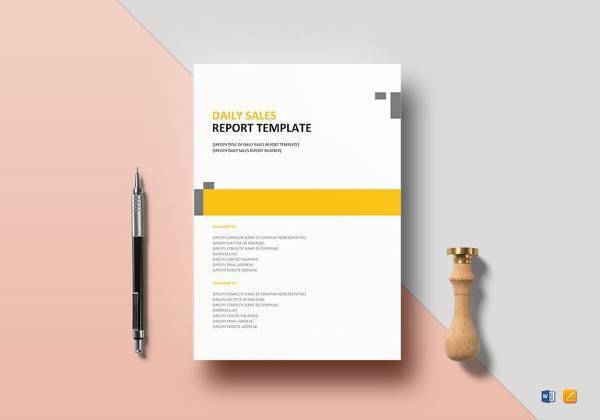 This summary tool will help any sales person to tally all their served customers and tally which of them successfully purchased their product or service so they can generate an official Reports Templates regarding it. 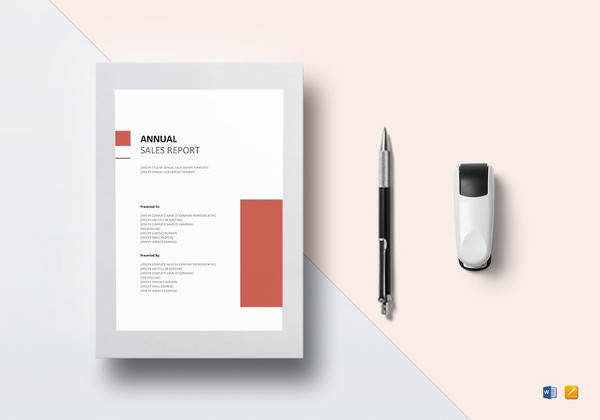 An example template is free to download online which you can choose from number of format and layouts or you can make your own at Microsoft word which has functions to assist you in making the Weekly Report Templates you want to have in numbering your sales call. 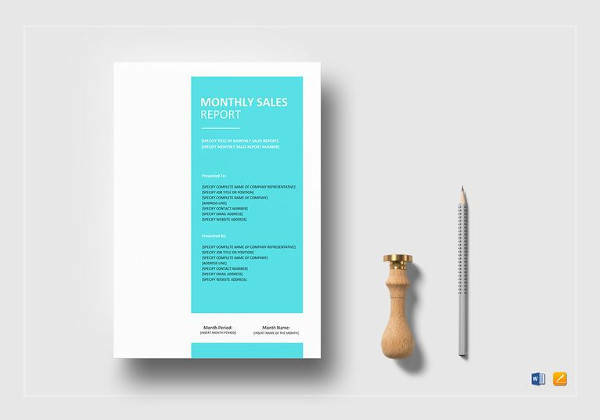 This sales call report template is a quick format you can use when you need to present your monthly performance to your manager. 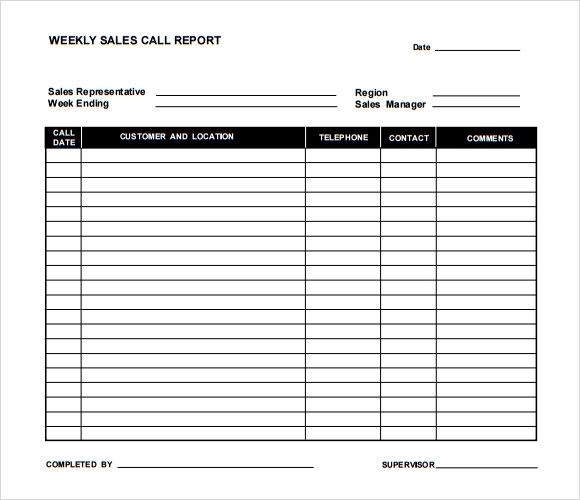 This template is a weekly call sales report that helps you to maintain a record of the sales calls attended in a week. This template is very easy one to maintain as it is a blank one which you can just fill in with your data. 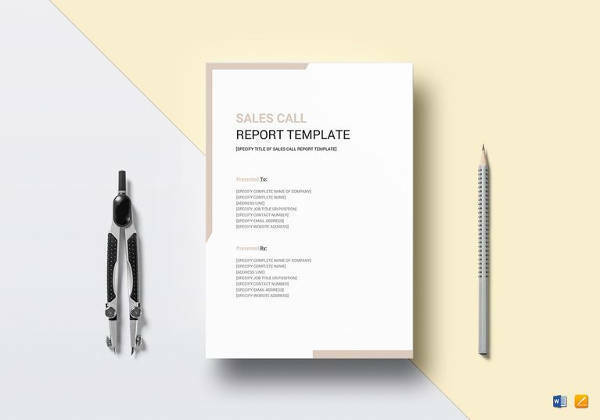 Here is a Sales Call Report Template which is a detailed report of all those clients and customers you have met already or will meet in the coming days. This template helps you to provide some detailing about the clients as well. 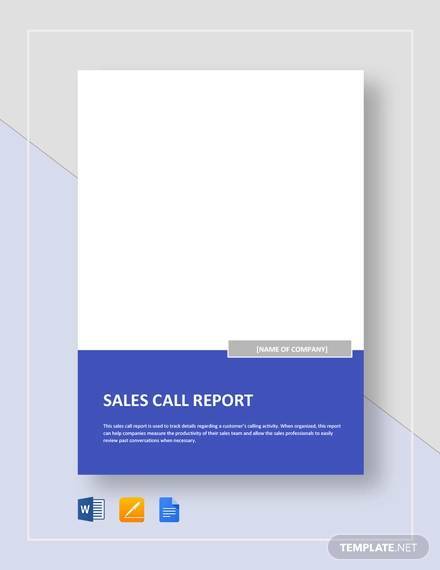 This is a more detailed and organized Sales Call report template which gives a graphical representation of the call. This kind of report easily provides an idea of the call and its outcome at a glance. 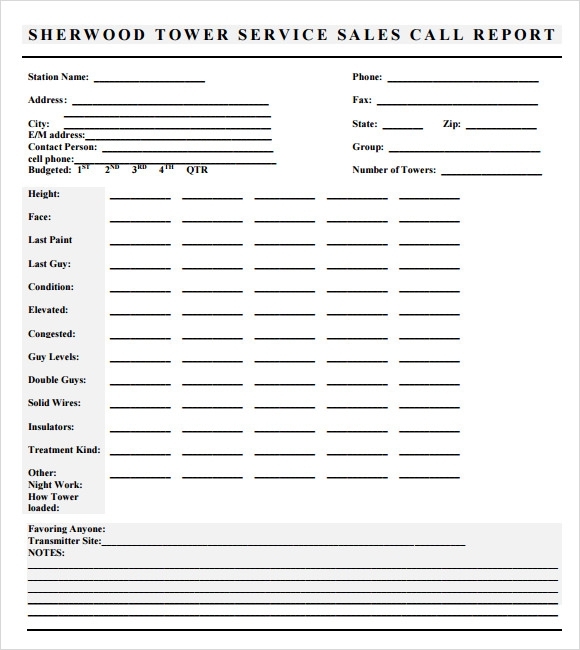 This Sample Sales Call Report Template allows you to manage the information regarding the sales call easily by just entering you call details in the given format. The format is all set for your help which you can even change and edit as per your requirement. 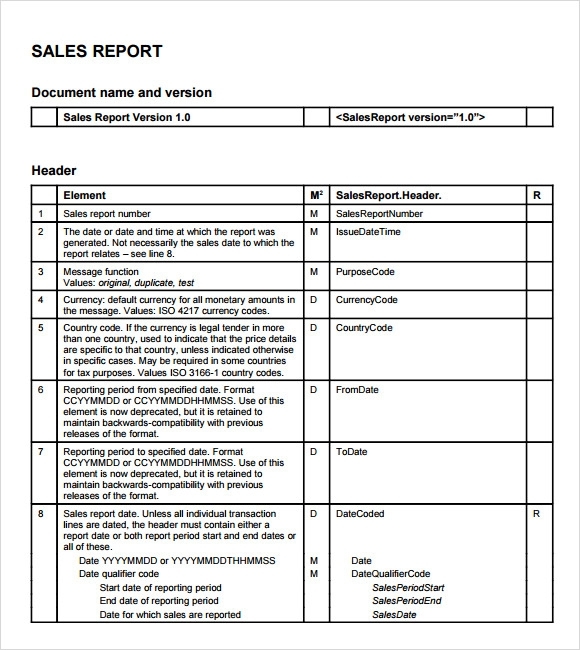 How to Prepare a Sales Call Report? 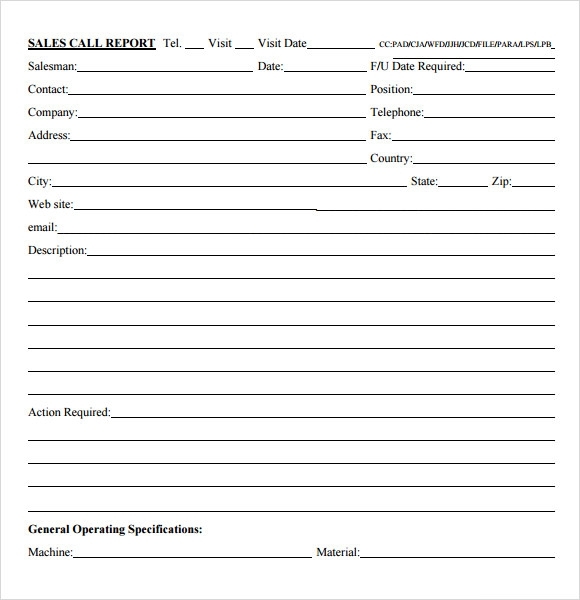 You may create a call report of your own or you may even take help from our ready sales call report templates for your sales meetings. A sales call report is made only when the sales person chalks out the upcoming meetings to be covered in the purpose of sales for the products or services. You may like Payroll Reports. The Sales person does it as per his convenience. He may create it for a week or fortnightly and keep on tracking it as per he meets the client. The complete detailing of the meeting is necessary to be jotted in the report. 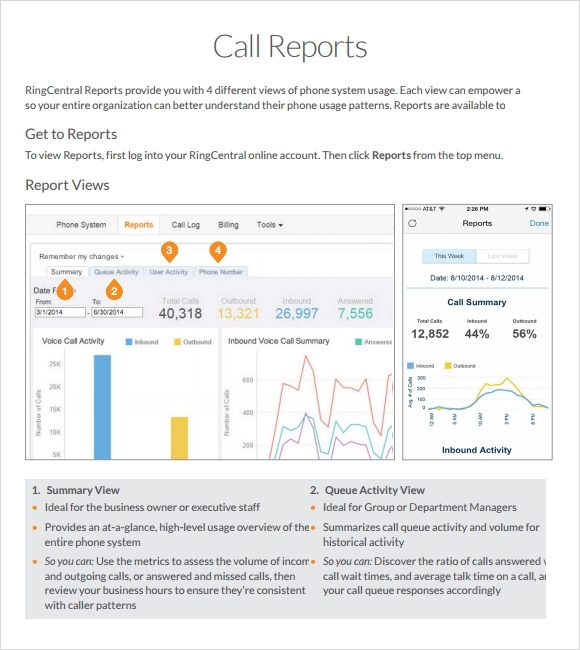 What are the Tips to write a Sale Call Report? There are no set rules and regulations to create one for sales meets but the sales person should not forget to put in the required details of the client and the outcome of the meeting and on closure of the deal (if it happens) he should not forget to put a remark. You can also see Case Report Templates. You may include graphical representation of your data but remember to make it clear and understandable so that it may not confuse the manager. The name and details of the clients should be properly mentioned and if re-visits required to the same client then separate sections should be prepared to note the outcome if the re-visit. 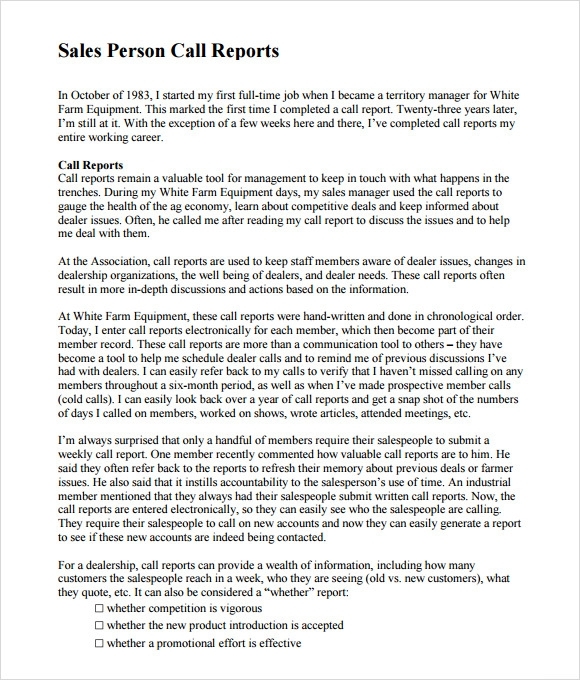 What Are The Benefits of a Sales Call Report Template? 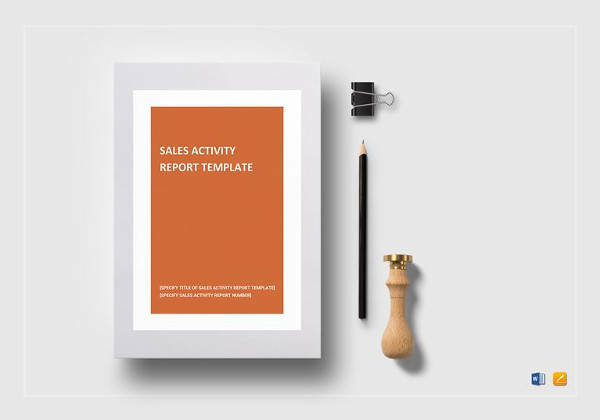 A Sales Call report is actually helpful in tracking the progress of a sales person how is he working and at the same time what is the client base being created by him. Sales Call Report also helps in training and guiding the sales team on how they can improve and work even better in terms of getting more sales leads for their business. 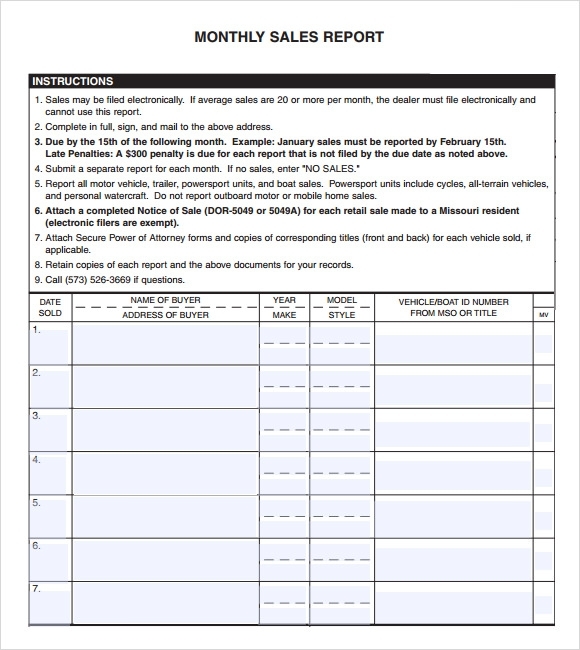 The Sales reports also act as a data sheet on the client base for the company. The company can use this data base for various other purposes pertaining to business. The most important job in the company is done by the sales team as they actually market for the product and bring in new customers for the company. So, it is also required for the team to have a proper training on different aspects of selling techniques and procedures related to the business.